A groundbreaking book with an inside-out view of personal transformation and the path to everyday enlightenment by letting go of the clutter, defense, and fears to instead focus on building the courage to be honest, vulnerable, authentic, and super-clear. Following the bestsellers The Intuitive Way, Frequency, and Leap of Perception, Transparency is the next book in Penney Peirce’s award-winning, visionary series of guidebooks on personal and societal transformation. Timely and revolutionary, Penney shows us how to let go of everything that gets in our way—the obstacles, clutter, and fears—to truly achieve greater authenticity, clarity of purpose, and feelings of belonging and joy. By transforming our opaque reality into a state of transparency, the dividing lines that fragment and isolate us melt away and all that’s left is the true self—connecting us to everything and everyone. Transparency helps you learn that when you’re transparent, there is great power in being seen for all of who you are. Secrets, lies, and hiding are no longer functional. Honesty, simplicity, compassion, and true humility produce genius. And, when you’re transparent, you’re empowered to see through situations that blind and confuse others. It’s as though you suddenly have Superman’s X-ray vision, and this enables you to reach just-right solutions, insights, and develop your ability to “see through,” so your intuition can skyrocket. Prescriptive, accessible, and thought-provoking, Transparency aims to help you identify your soul-blocking habits, find the insights being masked, and return these negative patterns back into the clear light of the unified field. Each piece of clutter dissolved, understood, and released creates greater transparency, opening us to experience our true selves and all the joys of life. Penney Peirce is an internationally recognized pioneer in the field of intuition development and personal transformation. A coach and advisor to business leaders, psychologists, and spiritual seekers of every kind, she has been affiliated with The Center for Applied Intuition, The Institute for the Study of Conscious Evolution, and The Arlington Institute. She is the author of Leap of Perception, Frequency, and The Intuitive Way. Here’s another in a series of leading edge books from a gifted visionary. 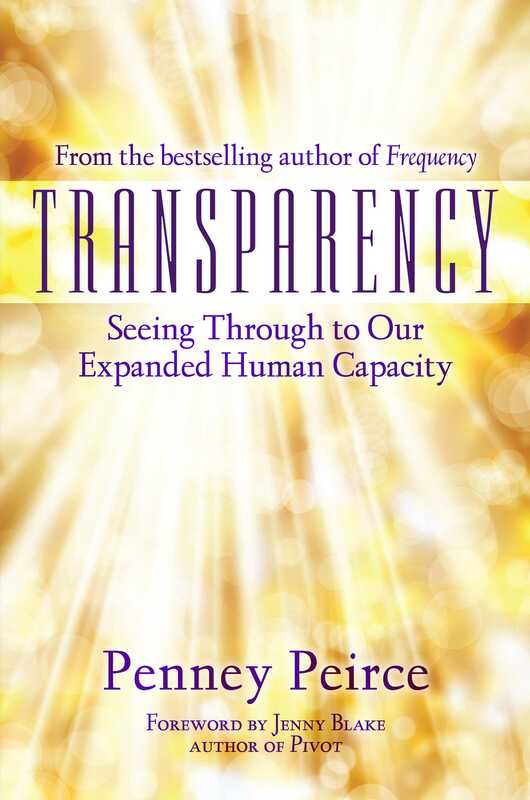 With Transparency, Penney Peirce moves further into her detailing of personal and societal transformation, describing what real, radical transparency is and how we can embody it—both in our own lives and in our relationships and organizations. This material is timely and so necessary. Penney Peirce's Transparency is a true treasury of practices that ushers readers into their radiant simplicity of being, the Self that has dropped the illusions of being separate from the Whole, allowing itself to be utterly authentic and transparently seen. Once again, Penney Peirce has pierced the present collective spirit, and clearly describes the accelerating evolution of our global family. Penney is a pioneer who has long been scouting the territory of consciousness. Many people are starting to sense an imminent turning point, but are not sure what it means for them. Transparency will take you a very long way toward clarifying this evolutionary shift. If you want to make enlightenment an everyday experience, then this book by Penney Peirce is a breath of fresh air. She shows that there is great power in being seen for who you really are and having the courage to be honest, vulnerable, authentic, exposed, and available to one another. Anyone who wants to be a thought leader and influencer must dig deep into this material. Penney Peirce has given us a guidebook about dissolving everything that interferes with our soul expressing directly through our personality. You really can clear your “clutter” and be willing to give up secrets, lies, and hiding. When you become transparent, fear has nowhere to live, and your life expands with compassion and peace. Transparency is a book whose time has come! In it, Penney Peirce addresses our ability to transform fear and negative thinking into the essence of the divine. The resulting transparency produces genius, effortless results, joyful service, and unlimited possibilities. In Transparency, Penney Peirce addresses the need to commit to being honest and open. She provides inspiration and direction to replace what blocks us with our soul’s true presence. In my work with authentic self-expression, I’ve found that personal transparency produces possibilities—and results—beyond what we can imagine. Now that’s a better story! Penney Peirce’s new book is like a magic potion. Part vibrational medicine, part modern psychology, it is speaks about personal alchemy—how we transform from dark, opaque, and dense into clear sentient beings. Her book is a well-organized, thoughtful, and carefully developed system that can help anyone who wants to walk this path toward enlightenment. Penney Peirce cuts to the chase in this book like no other. She helps you attain a pure perception of the world—where you see its true transparent nature, and enlightenment is not a fancy idea but an ordinary, living reality evoked by simplicity, honesty, and humility. Transparency ultimately helps reveal the genius that you are. Once again, Penney Peirce is on the cutting edge of consciousness, showing us a transcendent future with practical steps to take us there. If you’re ready to shine your light more brightly and cocreate a more honest, compassionate world, I recommend you stop everything and start reading Transparency right now! In the tech and startup world, everyone is searching for the next big thing, the “unicorns” that will be multi-billion dollar companies. Look no further. Everything you need to know is in this book. Transparency gives you the tools to unlock your mind to make better, smarter, more intuitive business decisions. Whether you're an investor or an entrepreneur, this is a must-read for unlocking a new type of intelligence and knowledge. 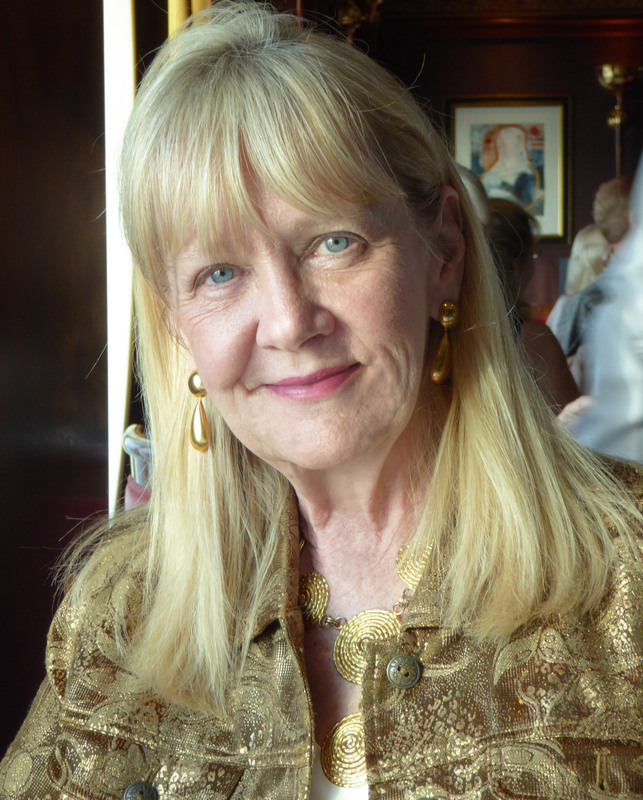 Penney Peirce is a sweet mystic who reveals the visions and methods for creating a better reality from an inspired Now. Transparency is a peek into what is coming—a must-read for influencers and those ready to elevate, enlighten, and empower. Highly recommended!